Lighting, like heating, consumes energy. A little common sense can go a long way in helping minimize electricity bills. 1.Dusty and dirty light globes can reduce lighting efficiency by half, to say nothing of the added eye strain they inflict. Cleaning them regularly will make a remarkable difference. 2.Fluorescent lights use a third to a quarter of the power of a conventional bulb. Down lights and spot lights are attractive but fairly inefficient forms of lighting. 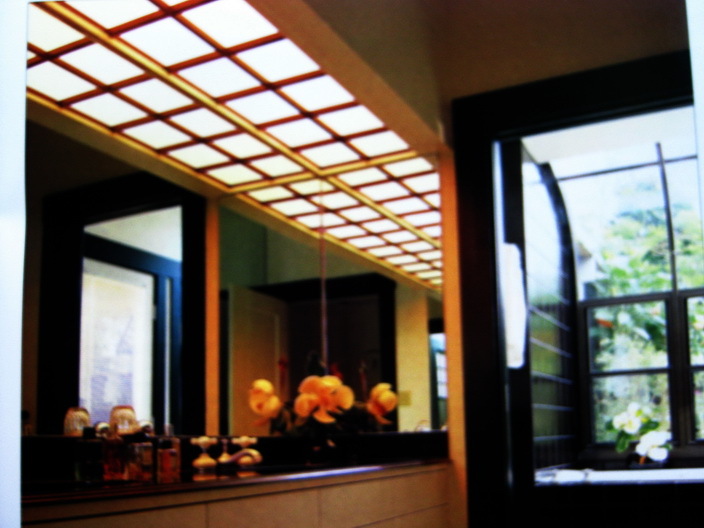 Have you ever heard of shoji lighting? This lighting solution is practical, efficient and very striking to look at. Fluorescent tubes are ugly and give out a bright light that’s inappropriate in some rooms. Here, their glare is softened and their overall appearance dramatized by the use of a false ceiling constructed of Perspex and supported by an egg crate-style timber frame. This style of lighting has more applications than simply the ceiling. You could build two identical timber frames and sandwich the Perspex between them. Used vertically, this would make an interesting room divider.